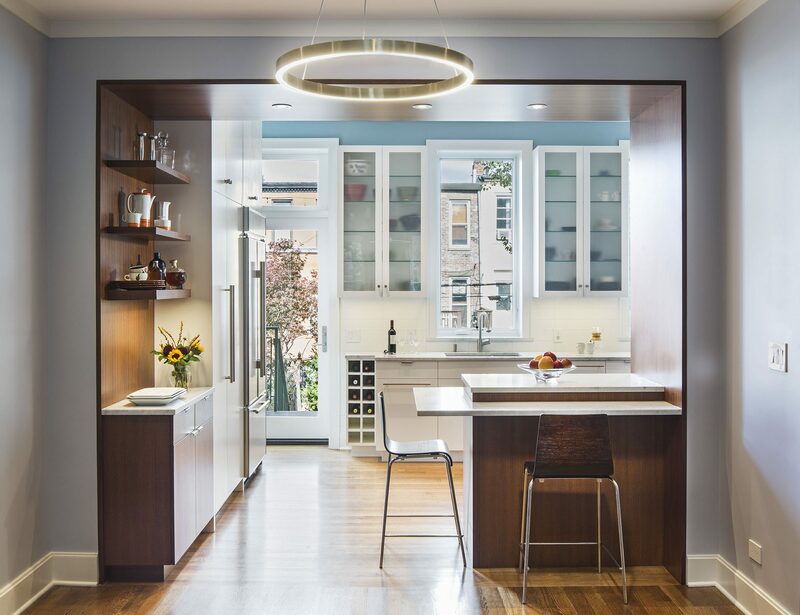 This two-family home with a two-bedroom garden rental and three-bedroom duplex was designed for a single dad and his son who requested an open hangout area on the parlor level and a cozy reading nook on the bedroom floor. 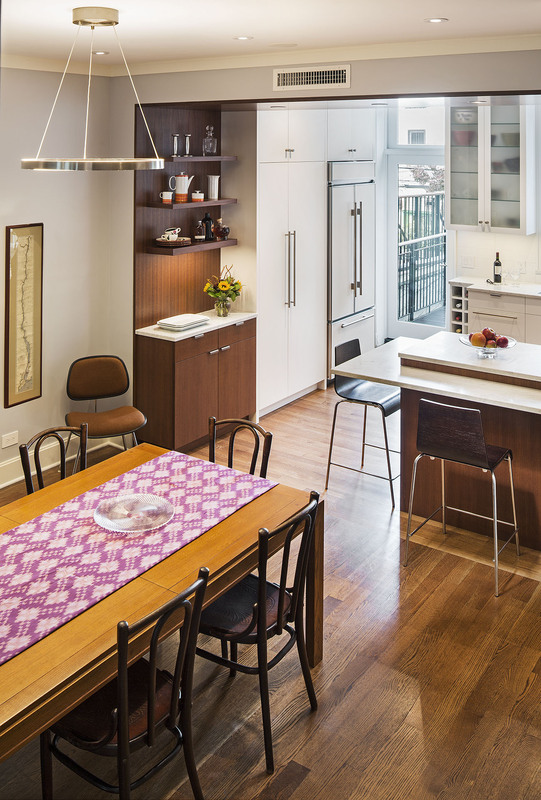 Steel was inserted between the wood ceiling joists in the dining room and kitchen to create large spaces that span the parti-walls of the townhouse. 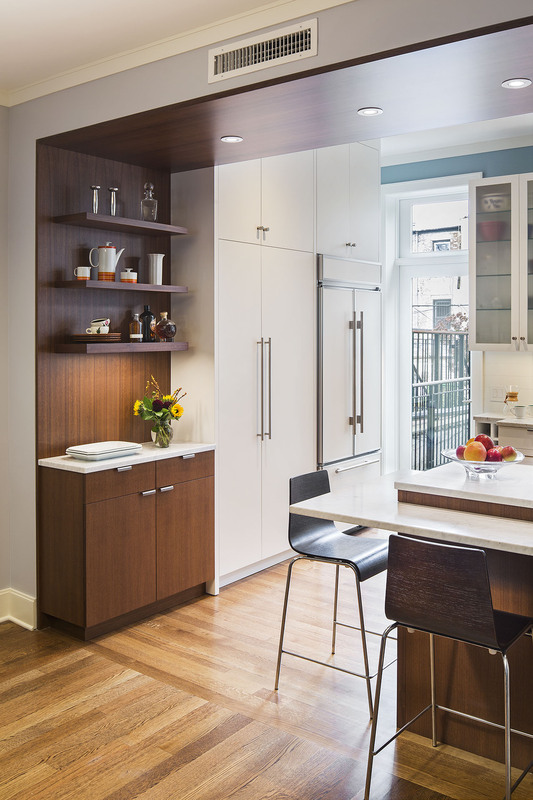 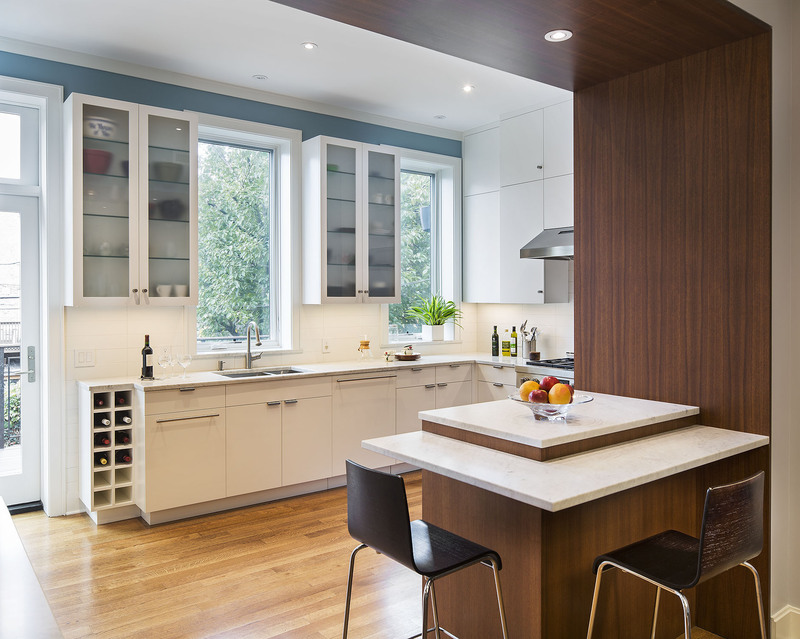 Walnut cabinetry, along with a walnut-clad ceiling and walls, highlight the eat-in counter and serving areas. 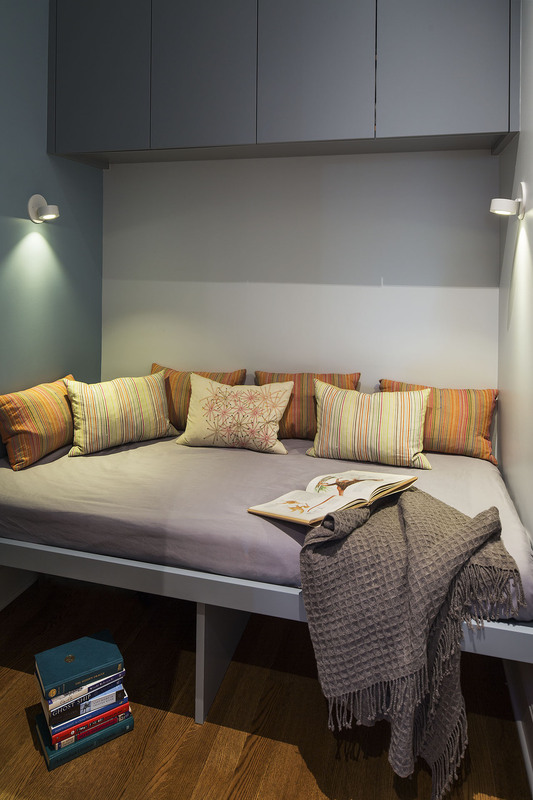 The upper level accommodates three bedrooms, a study, two baths and a reading nook off the main hall.